I'll just come right out and say it: the cat litter aisle can be overwhelming. Agree? I thought you might. Friends, let me assure you there's no reason to stress over what goes in your kitty's box. Tidy Cats knows not every type of litter fits every type of cat or human. My cats care what's in ALL their boxes. Some enjoy scented litter, while others prefer straight-up options. Instant action or long-term odor control? What do you think? How about the weight of the litter? Do you want to build muscle or are you a lightweight? OK, raise your hand if you love a nice clump! Me, me, me! Maybe you didn't even know there were so many choices. Perhaps your thinking becomes scattered when considering the selections, so you close your eyes and grab something off the shelf. Some have become accustomed to purchasing the same brand each time the litter runs low. 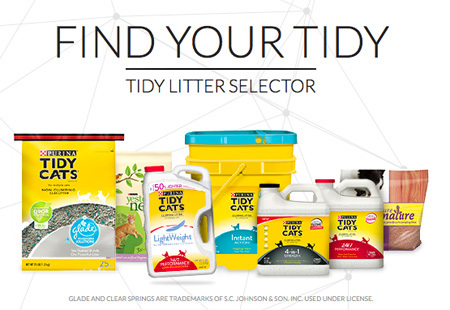 Whatever the case, the Tidy Cats Litter Selector will match you to your ideal type of litter. It's like online dating, but with cat litter. It's not hard -- promise! Just honestly answer a few simple questions about your home, lifestyle, and general preferences, and let Tidy do the work! I tried the Litter Selector and found my perfect match: Tidy Cats Instant Action. We're meeting at the litter boxes for our date next week. I can hardly wait. 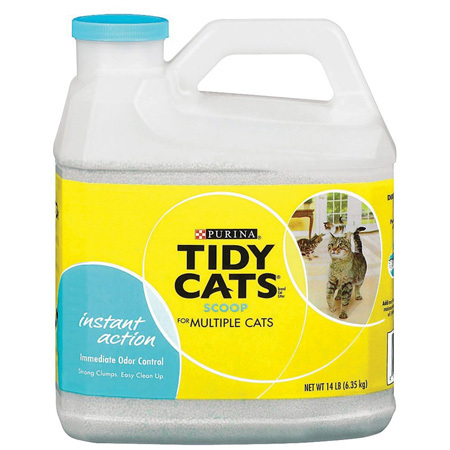 Click here to try the Tidy Cats Litter Selector. Leave a comment on this post with the type of litter Tidy selected for you. Enter your name and email address in the Rafflecopter widget below. Giveaway closes at midnight (Central) on December 19. 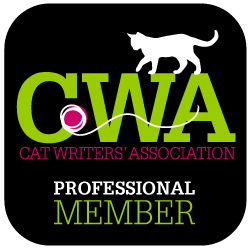 We are a member of the Tidy Cats Insiders and are being compensated to help spread the word about innovations and updates about Tidy Cats. 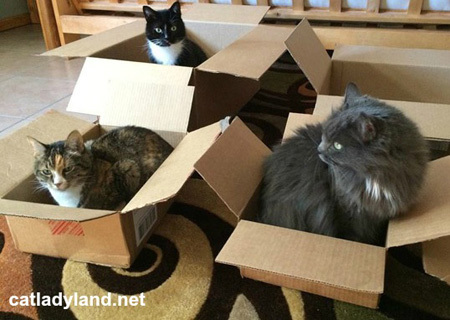 Catladyland only shares information we think would be of interest to our readers. The opinions are our own.